Tonight, someone will be $1.5 BILLION dollars richer. Or will they? The now famous Powerball lottery draws its numbers tonight at 10:59 p.m., and hopefuls around the US and even many people in Canada have bought a ticket. Truthfully, I caught wind of this very late. Maybe it's because I rarely buy lottery tickets anyway, or the fact that I'm Canadian and Powerball is American. (Canadians CAN win, by the way, but the tickets need to be purchased in the US and I'm about 2 hours form a border.) Oh well. Guess I won't be bathing in money anytime soon. 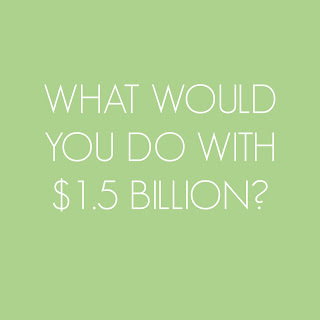 But then I started thinking: What would I do with 1.5 billion dollars? If it's any consolation, the winner WILL be heavily taxed, albeit their payday will still be MILLIONS more than mine. Sigh. 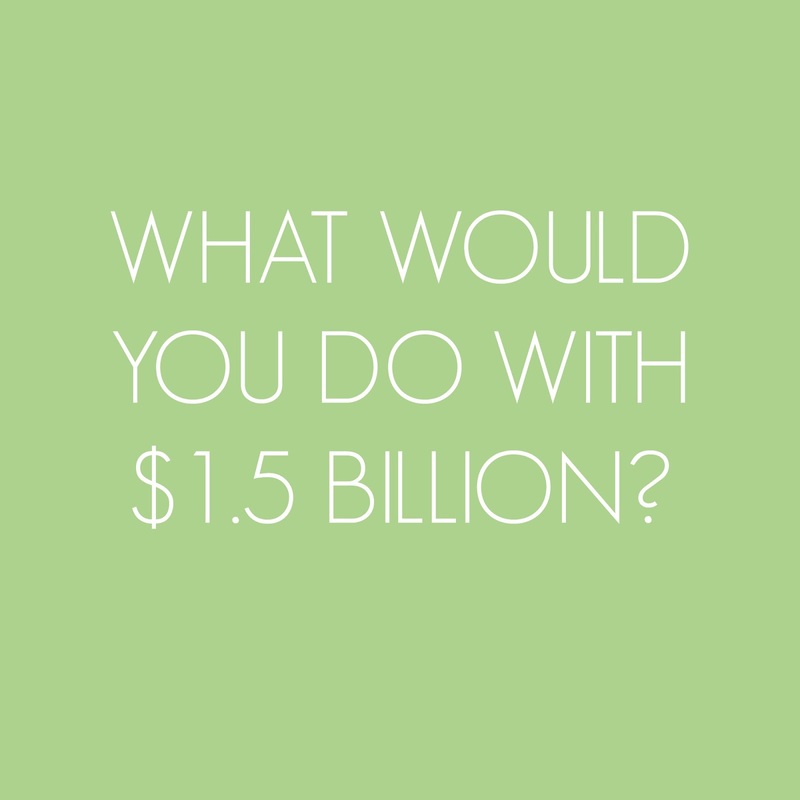 So, I ask you: What Would You Do with $1.5 BILLION? In fact is not necessary to cross the US border to buy the Powerball ticket as the are online services for that.They are numerous but only few of them are really trustworthy. It is not about advertisement. I live in Germany still participate in US lotto with more or less success. Concerning the winning. Do not forget about the taxes, lump sum and annuity options which will male it less.The 3 winners will get about $350 mln. If I were lucky to win Powerball, I would start my own car manufacture.